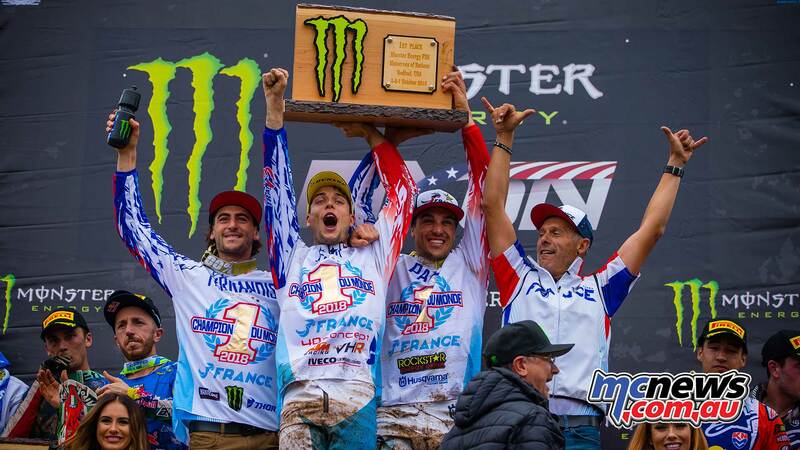 A rain soaked RedBud in Michigan, USA hosted the Monster Energy FIM Motocross of Nations and it was a mega gutsy performance by Team France to earn the Chamberlain trophy for their 5th year in a row! 30 teams entered the competition with 19 teams directly qualifying out of Saturday’s three qualifying races but the 11 teams remaining had one last chance on Sunday morning via winning the B-Final and it was Team Puerto Rico’s Travis Pastrana, Kevin Windham, and Ryan Sipes who claimed the final spot for the three main races. 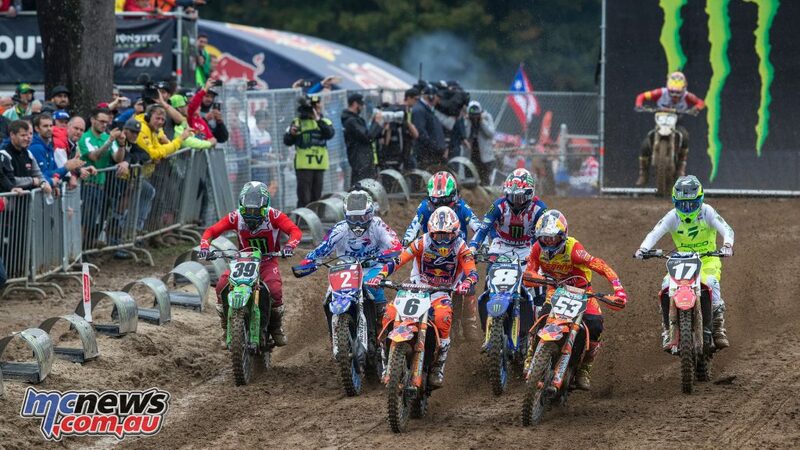 1st – France: Despite three days of rain and the toughest conditions seen for many a year the French team was led to victory by team captain and Monster Energy FIM MXoN veteran Gautier Paulin along with solid performances by Dylan Ferrandis and Jordi Tixier. Paulin scored second in the opening MXGP/MX2 moto behind Herlings while Ferrandis made a late charge to climb up to 7th place then in the second moto disaster struck for France with Tixier’s KTM coming to a steaming halt with four laps remaining but Ferrandis scored a credible 8th place finish after crashing several times so it all came down to the final moto and it was Paulin who battled tooth and nail all race to climb up to third while Tixier’s 15th place was enough to seal the win on 35 points. 2nd – Italy: Coming in second by only a two-point deficit was the Italian team of Antonio Cairoli, Michele Cervellin and Alessandro Lupino. 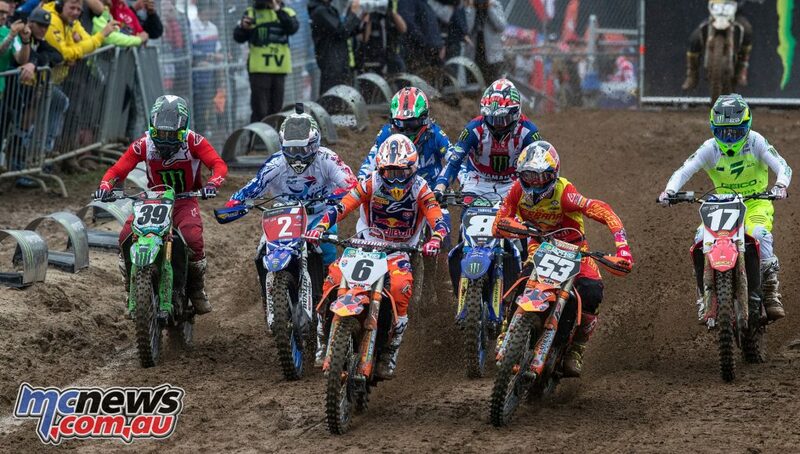 Cairoli and Cervellin went 6th and 10th in the opening moto before Lupino and Cervellin went 12th and 14th in the second moto so going into the final moto all eyes were on the Italian and French teams and after 35 minutes of sensational racing Cairoli battled his way to fourth while Lupino put in his best ever ride for the team to finish fifth – only to fall just two points shy of their second win in the modern era. 3rd – The Netherlands: Taking the final spot on the podium was team Netherlands who were surprisingly led by Glenn Coldenhoff (1-1) with Jeffrey Herlings (1-2) playing second fiddle for the first time this year while the third member of the team in Calvin Vlaanderen was forced out of the opening moto with a serious eyes injury and on the back of trackside medical advice didn’t return for the remainder of the event. Coldenhoff was the revelation of the event with the KTM pilot winning his Open class qualifying race as well as both of his races on Sunday, even the final race ahead of the more fancied Herlings who could not catch his team mate – but it was clear that these two riders were a class ahead of the rest of the field to score just 5 points between them. Herlings won the opening moto by 25 seconds ahead of Paulin, Coldenhoff won the second moto by 16 seconds over Lawrence and in the third moto the pair were over a minute ahead of Paulin at the line – both clocking their fastest lap times of the day in the dying laps of the final moto while others floundered in the deep sandy ruts. 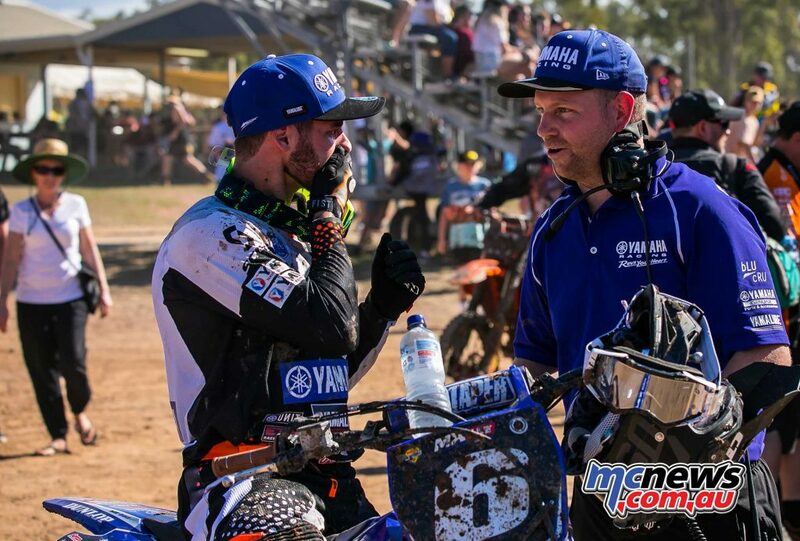 4th – Australia: Team Australia were leading the standings after the opening two motos on the back of 8-14 finishes by Lawrence and Gibbs in the opening moto followed by 2-10 finishes by Lawrence and Evans in the second moto. But it all went pear shaped in moto three when Gibbs was left on the ground after a heavy fall on the opening lap while Evans was sitting just outside the top five. 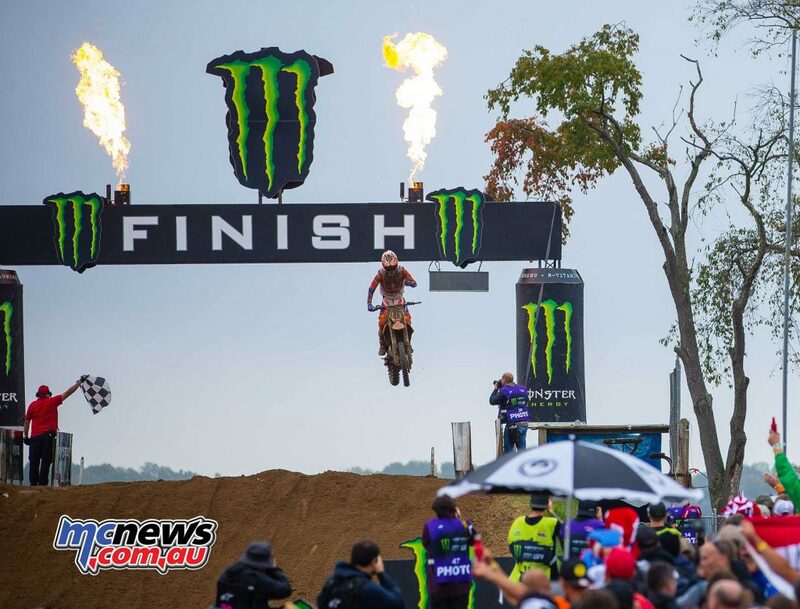 In fact, Evans would have needed to come 1st or 2nd in the final moto to earn Australia it’s first MXoN win. 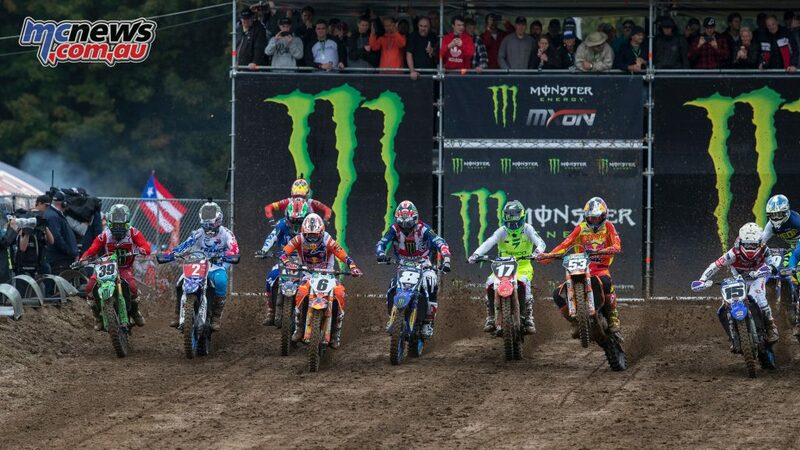 An unrealistic expectation in this sort of company in the conditions they were competing in but the plucky youngster held on to a top ten position until the penultimate lap where a mistake dropped him to a still more than credible 14th place – one position ahead of the winning team member Jordi Tixier. As for Lawrence, the Honda pilot was nothing short of spectacular all weekend with a secondin Saturday’s MX2 qualifying race before scoring 8-2 finishes on Sunday – in fact, in his second moto the Aussie caught and passed current World MX2 Motocross Champion Jorge Prado with ease to end the weekend second overall in the MX2 class. Gibbs started his weekend with a ninth place finish in Saturday’s MXGP qualifying race but in his first moto on Sunday the KTM pilot sat outside the top 20 going through the first few corners but fought all of the way up to a credible 14th place finish before crashing hard in the final moto to finish a distant 33rd place to end the weekend 13th in the MXGP class. Evans’ weekend started with a spectacular crash on the start straight of his Open class qualifying race on Saturday but to the 450 class rookie’s credit he fought back to 15th place before earning a 10th in his opening moto on Sunday then a hard fought 14th in the final moto of the weekend to finish a sensational 8th in the Open Class. The Rest: Great Britain scored 5th on 48 points with Ben Watson (4-15), Max Anstie (6-13) and Tommy Searle (10-34) all having their ups and downs over the weekend but the biggest disappointment must be Team USA who finished 6th on 49 points on the back of Eli Tomac racing to 4-7 moto results while Justin Barcia went 9-13 and Aaron Plessinger 16-18 on home soil – a truly poor performance against the might of the European stars. 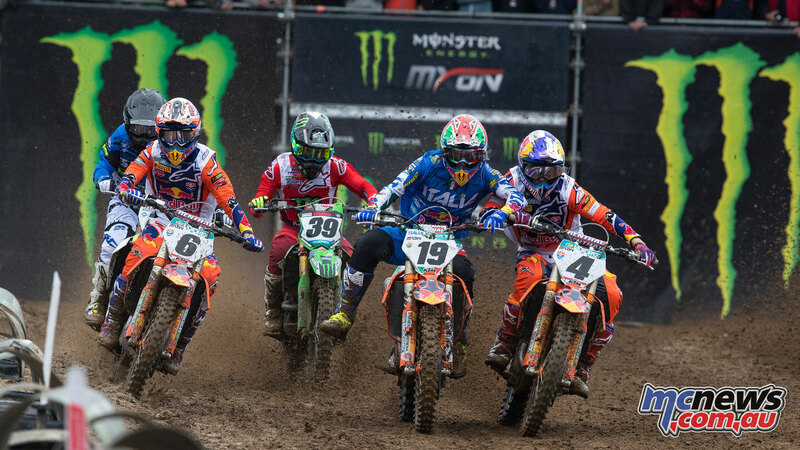 Belgium(53 pts), Spain (63 pts), Eastonia (71 pts) and Germany (78 pts) rounded out the top ten while Herlings won the MXGP class over Paulin and Cairoli, Coldenhoff won the Open class over Lupino and Jeremy Van Horebeek and Jorge Prado topped off a cracker year by winning the MX2 class ahead of Lawrence and Ferrandis. As for our Kiwi friends? 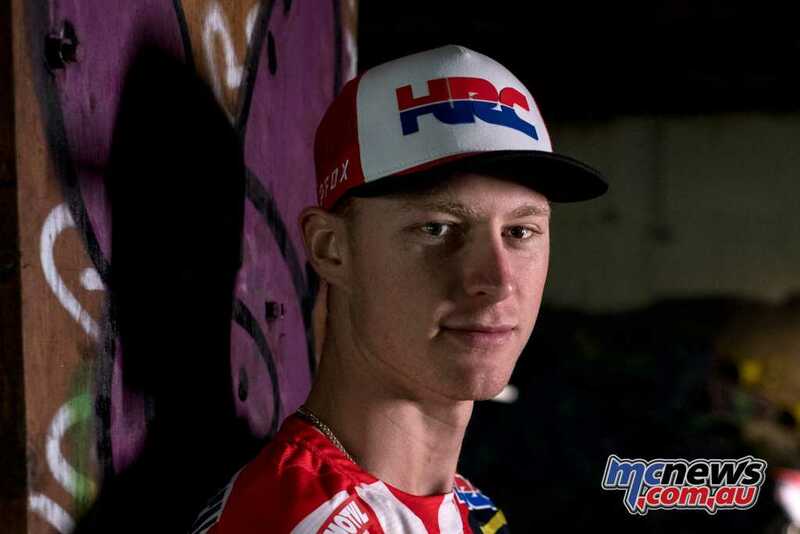 In conditions you would have thought favoured our cousins, New Zealand’s Cody Cooper (11-32), Hamish Harwood (38-29) and Rhys Carter (37-35) struggled all weekend at Red Bud earning them 144 points for 18th place ahead of Puerto Rico and Switzerland. Nations top ten: Australia, Belgium, Italy, Spain, USA, France, Estonia, Great Britain, Canada and Austria. 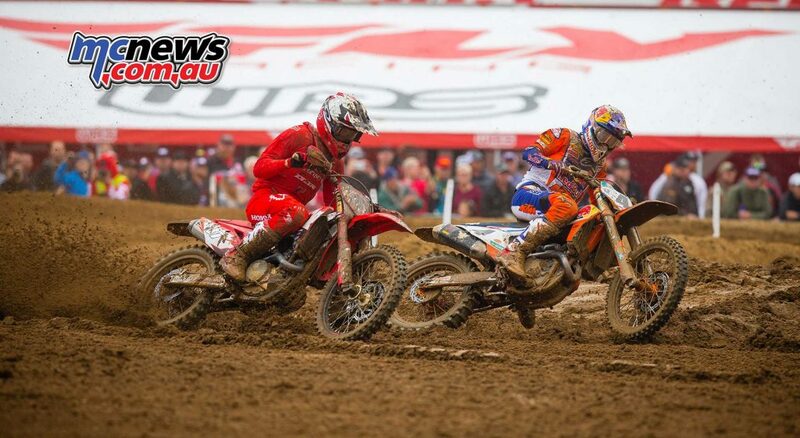 Justin Brayton and Jay Wilson have secured their second consecutive win in the SX! 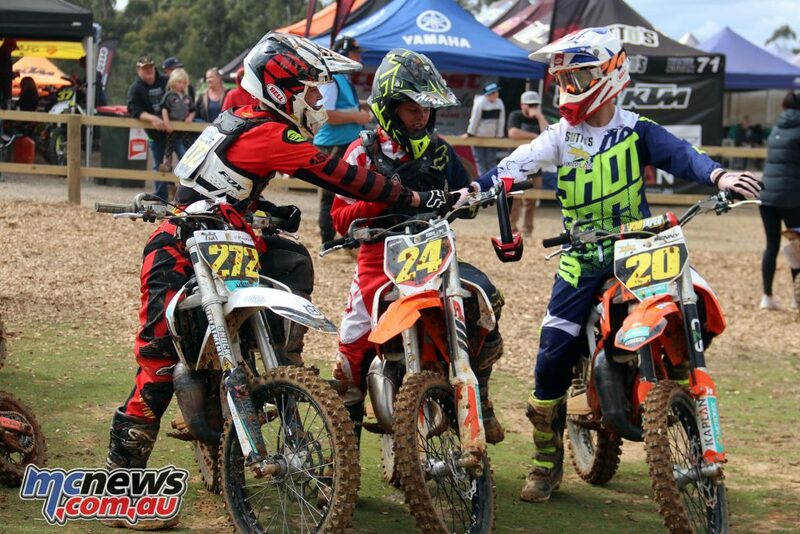 And SX2 class respectively at round two of the Australian Supercross Championship that was held at Coolum on the Sunshine Coast last weekend. Brayton hit the lead early in the 20 lap SX1 final and didn’t look back, but it was the battle for the minor places that had the Coolum crowd on the edge of their seats but it wasn’t long before the contenders narrowed down when CDR Yamaha Monster Energy Team newcomer Nathan Crawford injured his leg and SX1 rookie Cody Dyce (Suzuki) crashed hard through the stutter bump section – both riders recorded a DNF result. 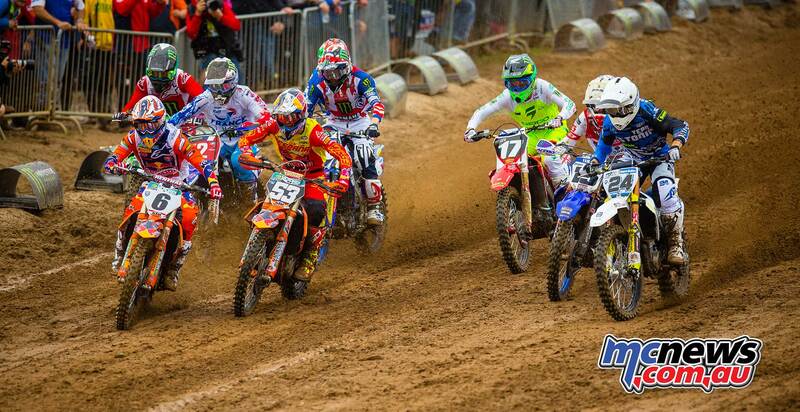 Brayton will take a narrow six point lead over Metcalfe into the third round of the series at Geelong this weekend. In the 250 SX2 class, series leader Jay Wilson moved into the lead ahead of Aaron Tanti in the closing stages of the race to clinch his second-consecutive victory this time over Tanti, Wilson Todd, Hayden Mellross, Dakota Alix, Jacob Hayes, Kyle Webster, Jackson Richardson, Richie Evans and Thomas Ravenhorst. Wilson has a handy 14 point lead over Hayden Mellross as the SX circus heads to Geelong for the third round of the series this weekend. 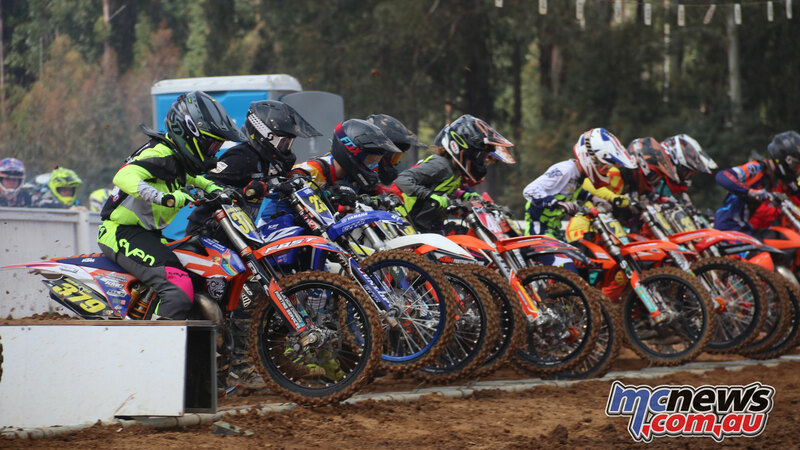 The Championship decider day of the KTM Australian Junior Motocross Championship (AJMX) in Penguin, Tasmania saw plenty of thrills and spills as 13 national titles were decided in what was an incredible day of racing. The Coastal Motocross Club has been blessed with exceptional weather and conditions all week and the track has produced top notch racing. 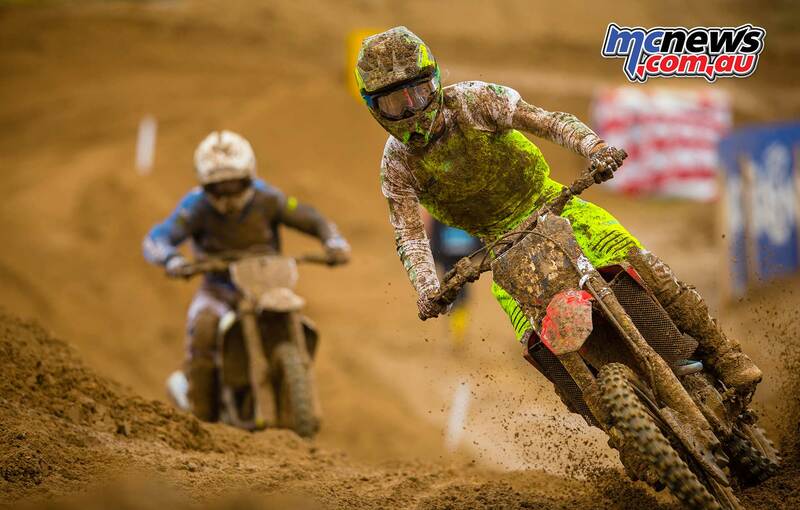 It has been a proud week for the sport, as the country’s elite junior motocross athletes were crowned! Queensland successfully claimed the title in the Interstate Challenge, where a number of riders were selected in each division. The winners took top honors with a total of 210 points, followed by New South Wales in second with 198, Western Australia third with 192, South Australia fourth with 189, Tasmania fifth with 183, Victoria sixth with 176 and Northern Territory seventh with 169 points. 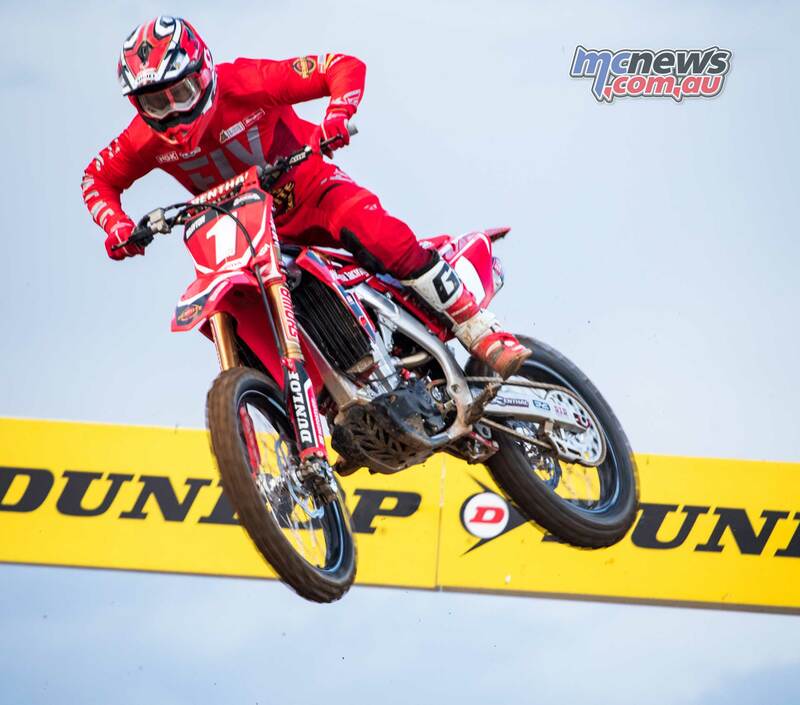 Western Australian, Regan Duffy continued his charge towards the Junior Lites title with another impressive victory in final 4 to open the day’s action. The win was no doubt an impressive feat after a huge crash yesterday. 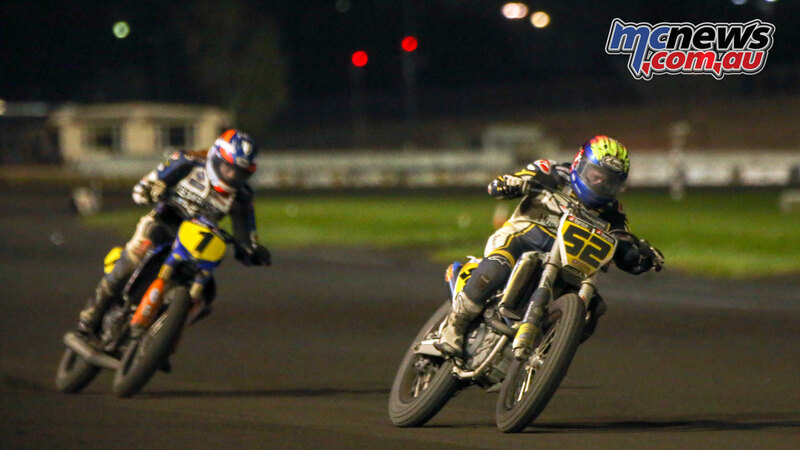 Duffy charged to victory beating rival Noah Ferguson (QLD) with a confidence boosting five second win. Tye Jones (QLD) took third, while Dante Hyam (NSW) and Lochie Smith (TAS) closed out the fast five. The crowd would have to wait till the final moto of the day to see who would be crowned champion for this class. Duffy later rose to the occasion and won the Junior Lites 15yo Championship after the final moto of the day. His performances in this category were nothing short of stellar, falling one win short of a clean sweep. He managed to take victory by 4.797 seconds, in front of Jones. Ferguson, Hyam and Smith all managed top five positions. 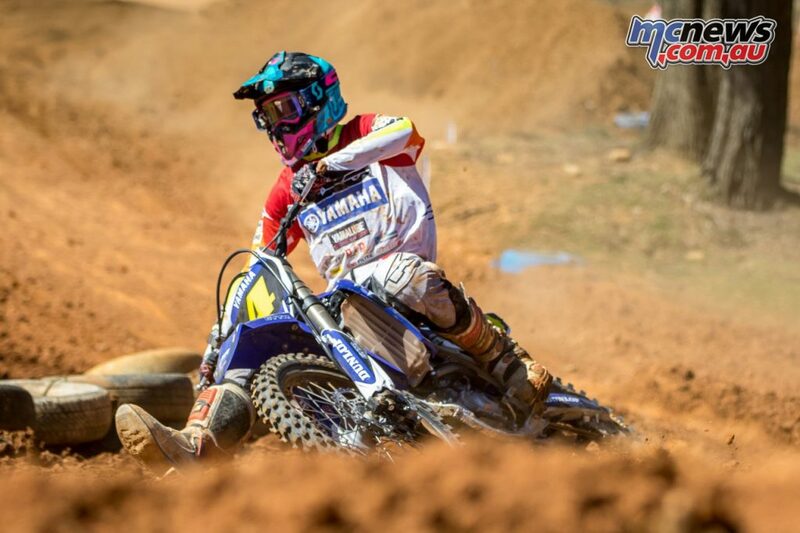 The first 2018 AJMX Champion of the day was crowned as South Australian, Alex Larwood sealed the title with a third-place finish. Levi Rogers (QLD) took a seven second margin win and would fall short of the championship by only one point to Larwood. Coming in second was Ricky Chalmers (NSW) followed by the new champ in third. Blake Hollis (NSW) and Dominic Walker (VIC) completed the top five finishers. 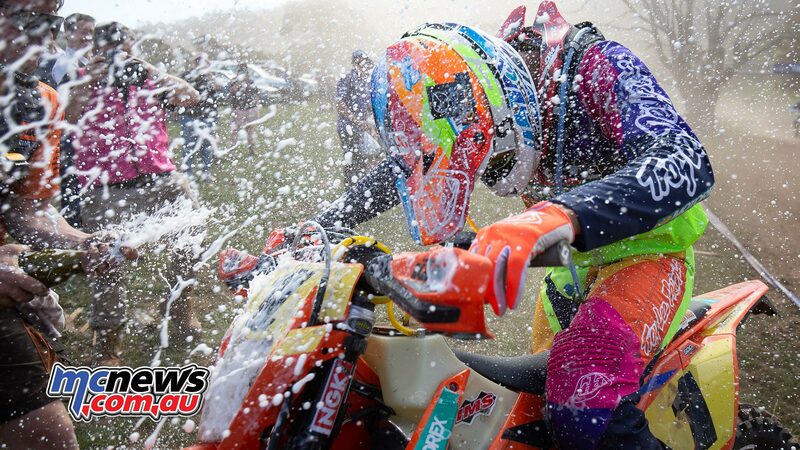 KTM rider, Jet Alsop from Queensland has dominated the class to take the Championship for the Mini Lites SW 9-U12. Alsop taking two out of three final wins to seal the title. In the third final, Alsop managed to hit the front early on and control the race to the finish, despite coming under pressure from second place finisher, Jake Cannon (QLD0 at times. Finishing in third was Byron Dennis (NSW), with Angus Pearce (TAS) and Kayd Kingsford (NSW) in fourth and fifth. Brodie Court (QLD) has taken a sensational victory in the final moto of the 50cc class to earn himself a championship win. Court scored the same amount of points as Aden Oakland (QLD) but his victory in the final race, handed him the championship win. Oakland could only manage a 11th place finish in final 5. Finishing second was Phoenix Blanchette (NSW), followed by Ryder Creeke (NSW), Jay Jennings (TAS) and Ryder Woodrow (SA) completing the top five. New South Welshman, Benny Novak has sealed the Mini Lites BW – 14-U16 championship with his third-place finish in the final moto. 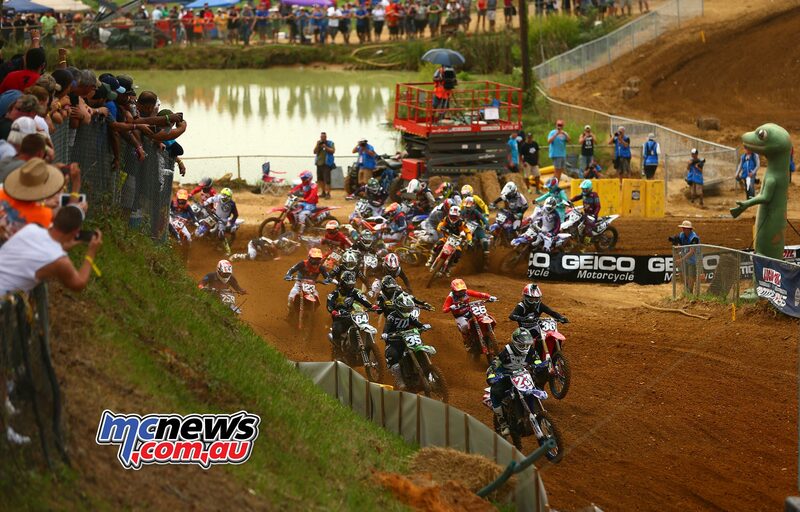 Joe O’Donnell (NSW) finished first in the final moto, with Reid Taylor (NSW) in second. Taylor would also finish second in the championship standings. Bayley Clancy (NSW) finished fourth and Jacob Sweet (VIC) rounded out the top five. The championship battle for the Mini Lites BW – 12-U14 could not have been any closer, with the top three all tied on points! 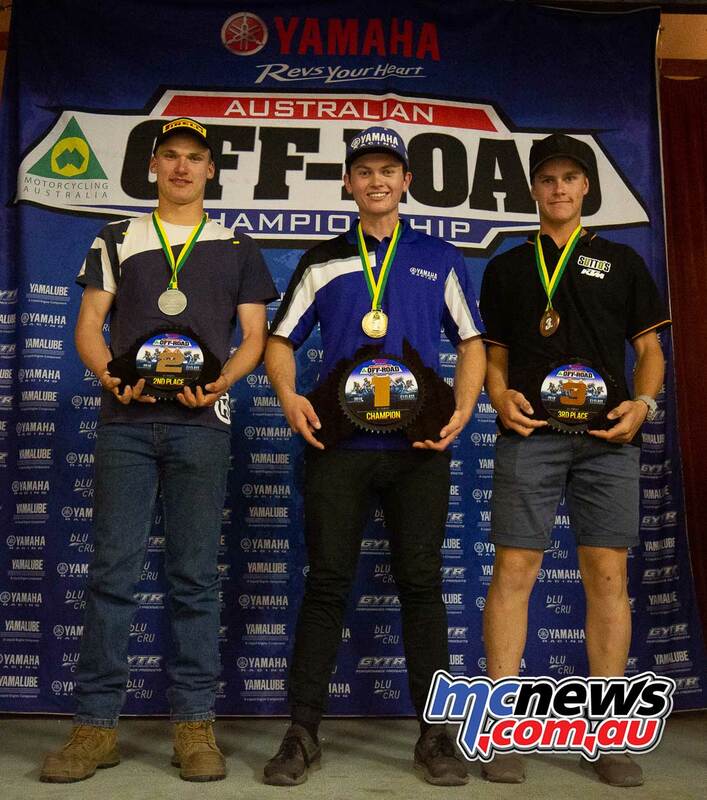 Ryan Alexanderson (QLD) was awarded the championship for taking the victory in the final race, with Jackson Camilleri (QLD) and Rory Fairbrother (NSW) just missing out on the title, despite all being tied on 87 points. In the final Alexanderson took a five second victory ahead of Camilleri, followed by Brock Sleader (QLD) in third, Deegan Mancinelli (QLD) in fourth and Cobie Bourke (NZ) in fifth. Cooper Ford (TAS) was Mr. Consistency here at the 2018 AJMX, being crowned 65cc 7-U9 – Final 5 Champion, despite not taking a win. 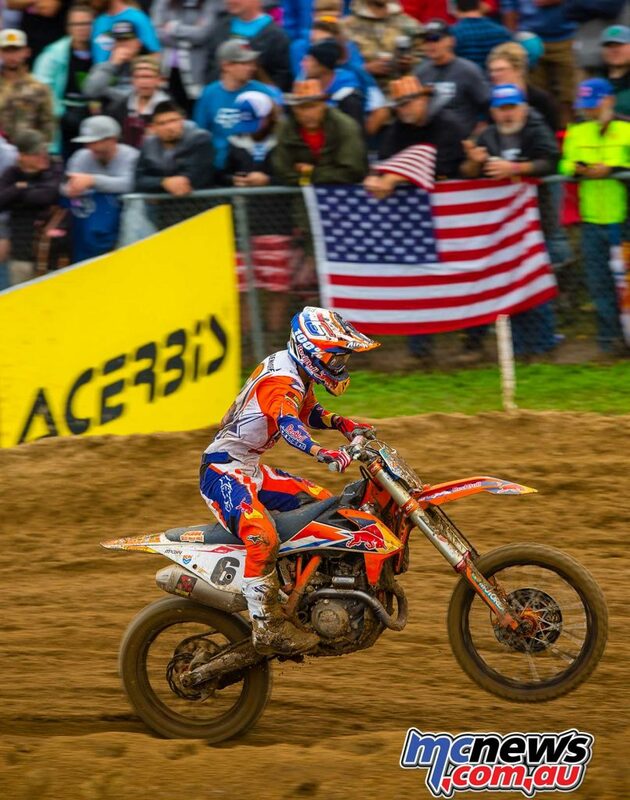 His second place in the final moto being enough to take the title. The race itself was won by Cooper Downing (QLD), who beat home Ryder Creeke (NSW), Ford, Jack Burton (NSW) and Peter Wolfe (QLD), in what was a respectable display. 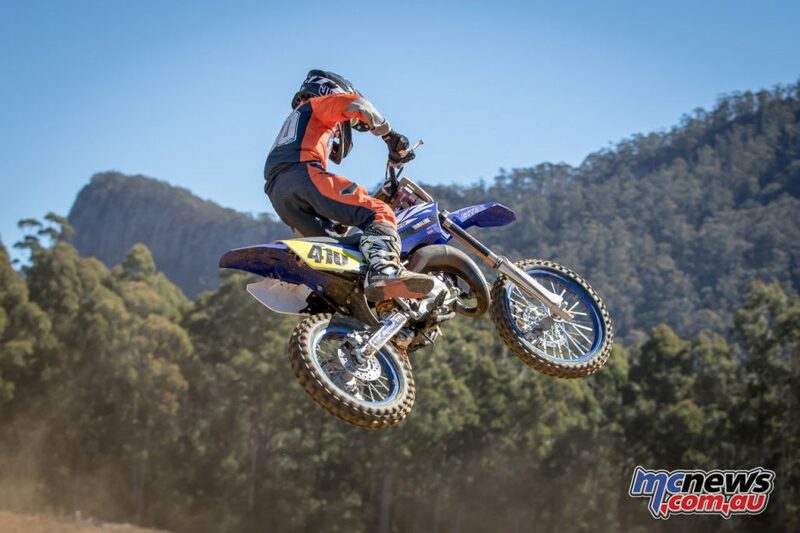 Queenslander, Charli Cannon has dominated the final moto to take the Junior Lites – 13-U16 Girls Championship in fine style. The 175 points Cannon clocked up was more than enough to seal the deal and she won the final race by over 18 seconds. Cannon was followed by Taylah McCutcheon (QLD), Tanesha Harnett (NSW), Taylor Thompson (NSW) and Madi Healey (VIC) in the final race. 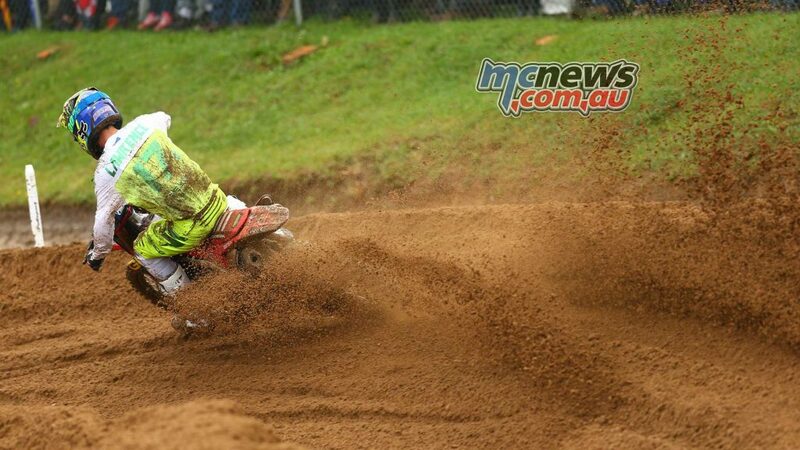 Jet Alsop (QLD) has taken another championship here at Penguin in the 65cc – 11-U12 category. His third in the final moto was enough to guarantee the title. Jake Cannon (QLD) managed to win the final race but he would fall only four points short off Alsop in the title race. Seth Burchell (NSW) finished second, followed by Alsop, Callum Penney (TAS) and Tate Young (TAS). 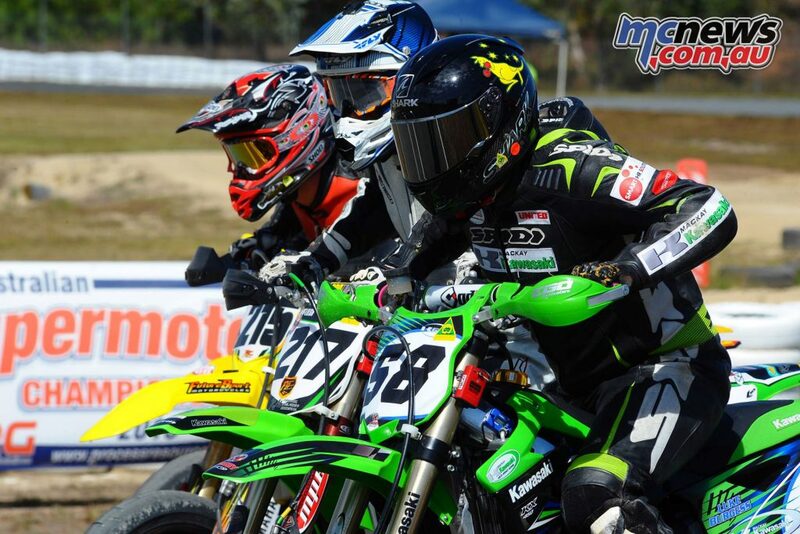 Noah Ferguson (QLD) has sealed the 125cc – 15yo championship, despite only fifth in the final moto and not winning a final. There was plenty of drama including, Regan Duffy (WA) retiring from the race. Eventually it was Corben Weinert (WA) who took a dominant 19-second margin victory. Weinert was followed by Lochie Smith (TAS), Kai Newbold (SA), Tye Jones (QLD) and Noah Ferguson (QLD). Taking his second championship of the day was Alex Larwood (SA), this time in the Junior Lites – 13-U15. 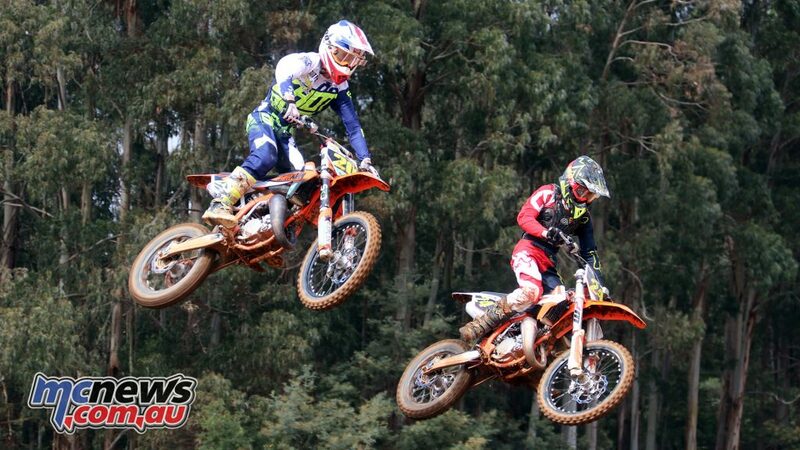 Larwood took the championship in style, also taking the victory in the final moto. His 169 points giving him a 28-point buffer over Blake Hollis. New South Weshman, Hollis pulled through for second in the race ahead of Kipp Adams (VIC), Benny Novak (NSW) and Ricky Chalmers (NSW). A race victory in final five awarded the Championship to Kayden Minear (WA) who put on an impressive display to win by 13 seconds. He managed to edge out Koby Hantis (NSW) in second. Kayd Kingsford (NSW) scored another podium in third, followed by Ky Woods (NSW) and Jake Sanderson (VIC). Taylah McCutcheon from Queensland made it a clean sweep in the Mini Lites BW 12-U16 Girls to grasp the title, completing the week with a dominant 25-second victory. Charli Cannon (QLD) pulled through for another consistent runner-up placing ahead of Taylor Thompson (NSW), Tanesha Harnett (NSW) and Jessica Robertson (VIC). Cannon was second in the title hunt after a string of top results. 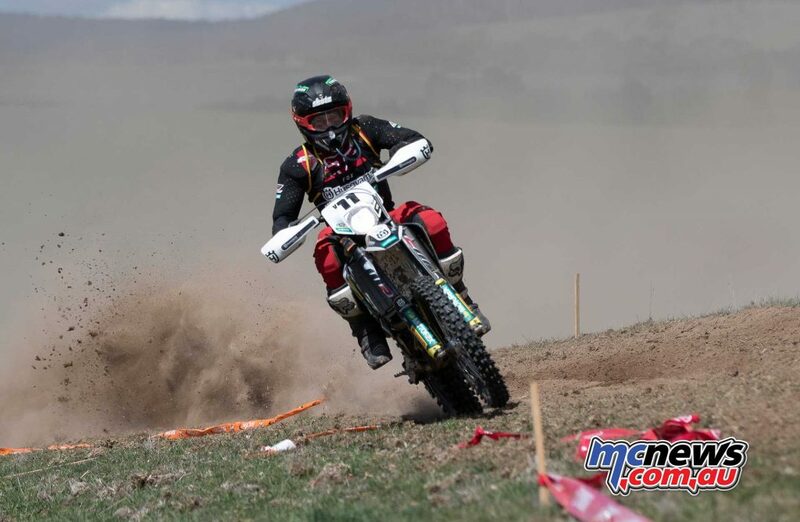 The Victorian town of Omeo hosted the final two rounds of the Australian Off-Road Championships and it was Daniel Milner (E3), Daniel Sanders (E2), Luke Styke (E1) and Michael Driscoll (EJ) who were all crowned Champions after winning Saturday’s cross country. Korey McMahon (J4), Richard Chibnal (Vets) and Geoff Ballard (Masters) also wrapped up their respective championships on Saturday while Jess Gardner (Womens), Blake Hollis (J3) and Bill Hargy (J2) managed to take out their respective championships on Sunday. Milner, Sanders, Styke and Driscoll rammed the point home on Sunday with convincing wins to wrap up a season that all four will savour as they look forward to the ISDE in Chile in a month’s time. Great Britain hero Tai Woffinden became the nation’s first ever triple world champion after spectacularly winning the Torun SGP of Poland over the red-hot Artem Laguta who in turn got the nod over Emil Sayfutdinov and Niels-Kristian Iversen. Woffinden was keen to enjoy his moment after coming under huge pressure from Zmarzlik in the race for gold, with the Pole finishing just 10 points short in second spot. 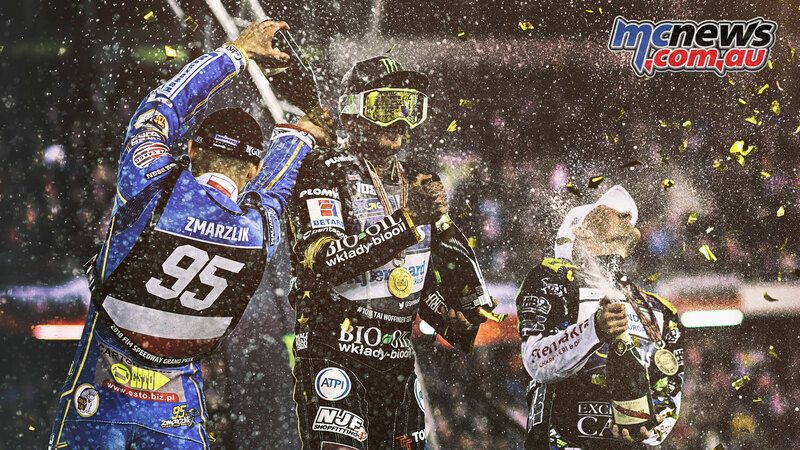 Woffinden dedicated his special moment to a former Wroclaw team mate. They are joined by GP Challenge top trio Janusz Kolodziej, Niels-Kristian Iversen and Antonio Lindback, plus four wild cards Patryk Dudek, Matej Zagar, Martin Vaculik and Leon Madsen. 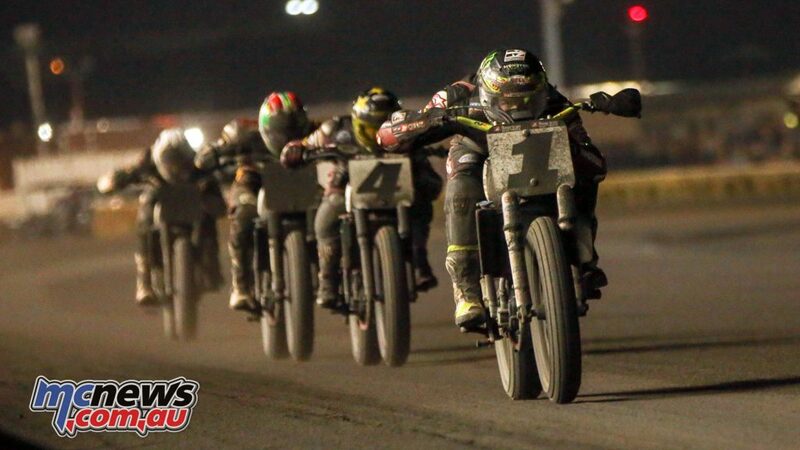 The American Flat Track 2018 season wrapped up at the Meadowlands Mile, where the AFT Twins saw Bryan Smith and Jared Mees battle it out for supremacy, while in the Singles Main Event Shayna Texter and Kolby Carlile were side-by-side all of the way to the line. At the end of the AFT Twins event, Bryan Smith got the better of Jared Mees in a performance that set the stage for a thrilling 2019. 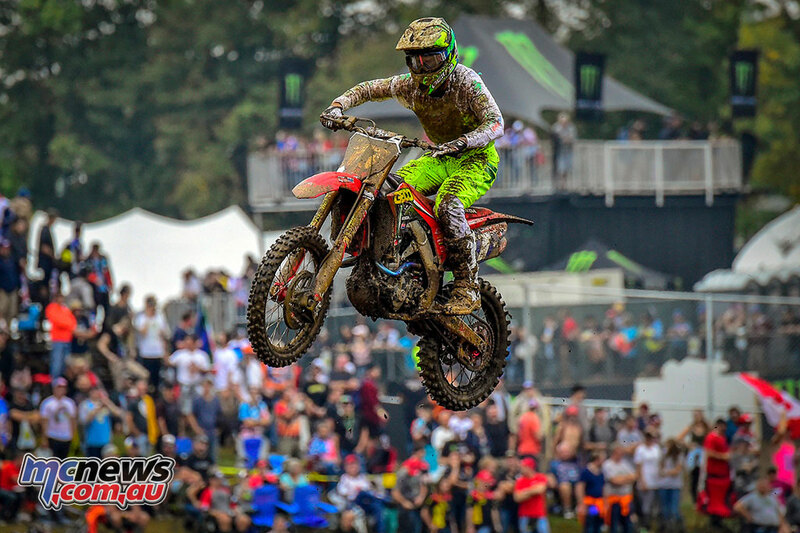 Mees has reigned over the AFT Twins class with an iron wrist for the majority of the past two seasons, storming to a pair of dominant AFT Twins national championships. Smith, meanwhile, suffered in his wake, at one point going more than a calendar year between victories but he put an exclamation point on his late-season resurgence in Saturday’s thrilling showdown by closing out his 2018 campaign with three victories in the final four races. 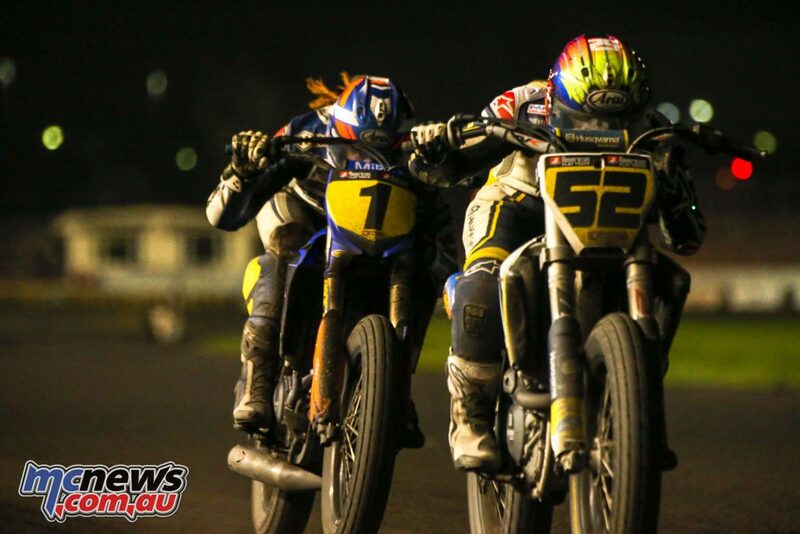 After the two went back and forth throughout the AFT Twins Main, the drama was somehow escalated even further when Jeffrey Carver Jr. and Briar Bauman joined the party with just a lap and a half remaining. A surprise move by Carver on Smith appeared to provide Mees the room he needed to escape, but Smith immediately countered and stuck it up the inside of Mees heading into Turn 3 for the final time. From there he powered to the chequered flag clean after Mees ran wide in Turn 4 in a desperate search for traction. Carver ended up third, with Bauman close behind in fourth. The finale also marked the final race of another legend’s career, Kenny Coolbeth who once again proved he’s leaving on his own terms. He registered yet another competitive ride, rounding out his decorated career with a seventh-place performance. The AFT Singles season finale was an instant classic, pitting two of the classes’ top guns against one another in a showdown to decide third overall in the 2018 championship rankings. In the end it was Shayna Texter grabbing the chequered flag ahead of fellow ‘Mile Master’ Kolby Carlile by an impossibly tight 0.006 seconds. No one knew for sure who’d won when they first crossed the line. 2018 AFT Singles champion Dan Bromley concluded his season with his 13th podium finish while class rookie Max Whale managed a more than credible 6th in the final, just 4.5 seconds from the front runners. 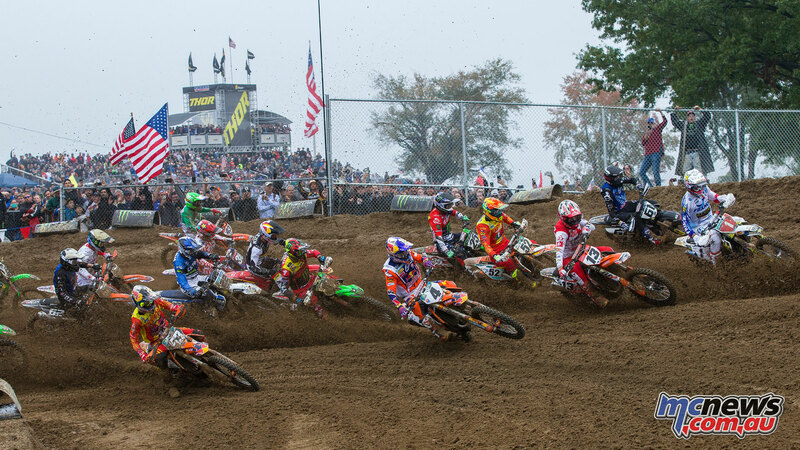 MX Sports Pro Racing and NBC Sports have announced the 12-round schedule for the 2019 Lucas Oil Pro Motocross Championship, sanctioned by AMA Pro Racing. 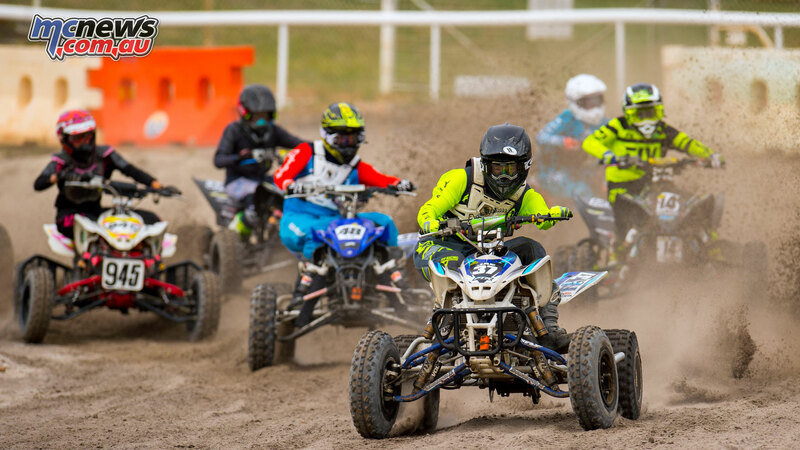 The 48th season of the world’s most prestigious off-road motorcycle racing series is highlighted by the addition of a new venue, WW Ranch Motocross Park in Jacksonville, Florida, which will host the inaugural Florida National on June 22. 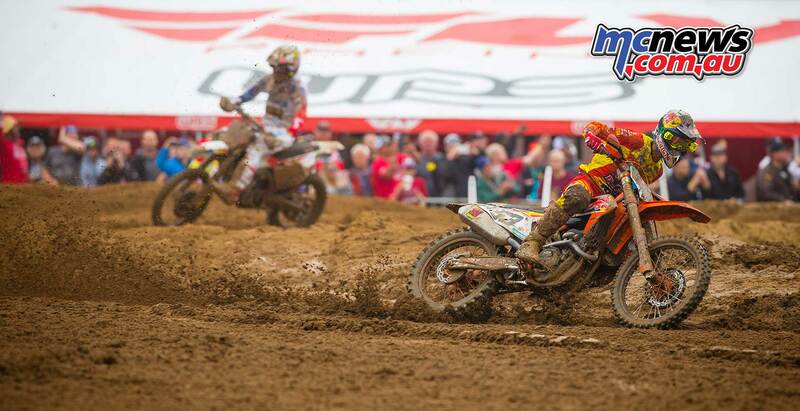 The action will kick off as it has for 12 of the past 15 seasons, with the Hangtown Motocross Classic on May 18, before traveling across the country and to every corner of the U.S. on a championship journey that will visit 11 states. RFX KTM Racing are happy to announce former British Champion and MXGP rider Shaun Simpson will be riding an RFX KTM for the 2019 season. Shaun will compete in the full MXGP World Championship alongside the British Championship back home in the UK. Joining Shaun will be the young talented rider Joel Rizzi who joins the team after a championship winning 2018 season. The Welshman will ride the 125 SX in the European Championship and the Michelin MX Nationals British Championship when back home on UK soil. 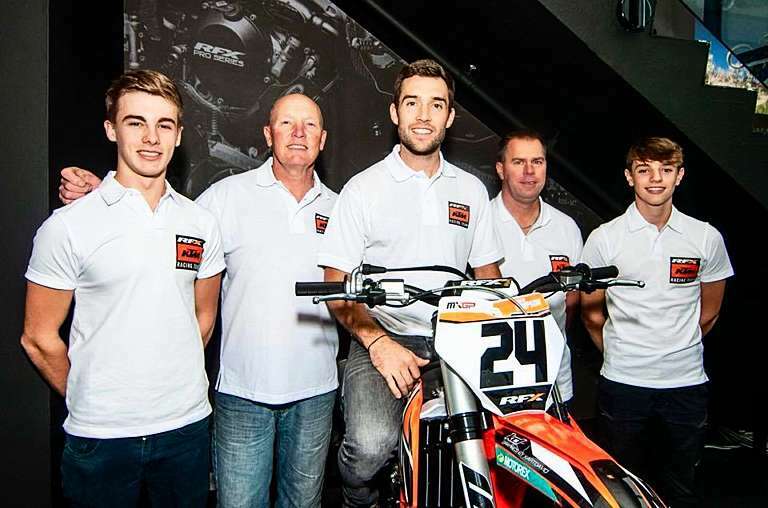 Nathan Dixon will also join the team and after winter training on the new KTM SX-F 350 we will decide which class in which he is to compete when he is back to full fitness. Nathan is coming off the back of a strong rookie season in the UK MX1 class and he may also join Shaun in the MX1 class in the UK but revert to a 250 to gain some EMX 250 experience next year. A fourth member of the team will be talented 17 year old Ben Clark. 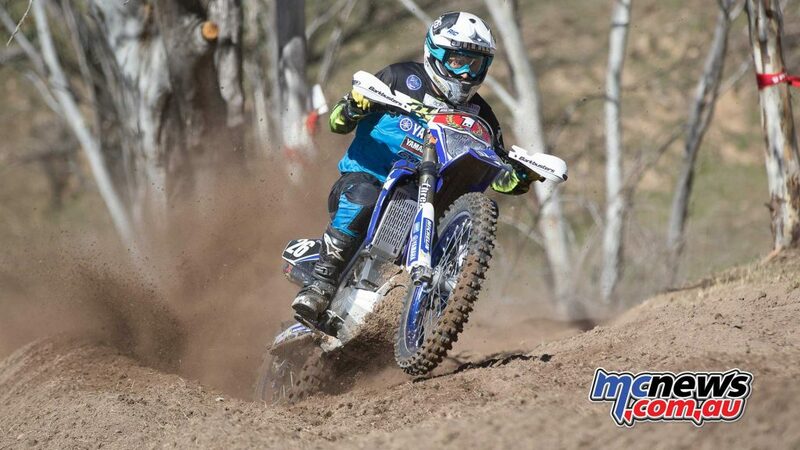 Ben will be joining the team on the SX-F 250 competing in two British Championships on home turf. 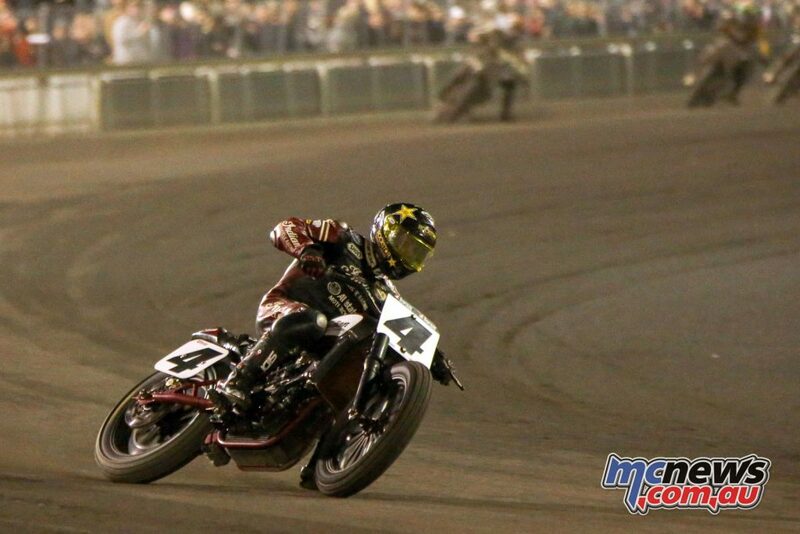 The American Motorcyclist Association congratulates veteran speedway racer Billy Janniro on winning his ninth AMA Speedway National Championship. The 2018 champion won the title for the sixth consecutive year and has surpassed Greg Hancock’s record of eight career titles. Janniro, 38, of Winters, Calif., began competing in speedway racing in 1995. 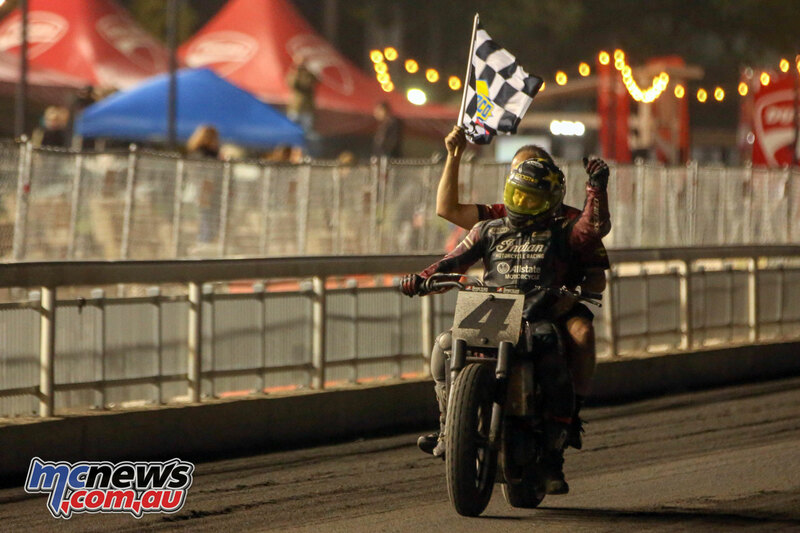 He won the 2018 title Sept. 29 at the final round of the 2018 AMA Speedway National Championship at Fast Fridays Motorcycle Speedway in Auburn, Calif.
As an AMA National champion, Janniro will be awarded his AMA No. 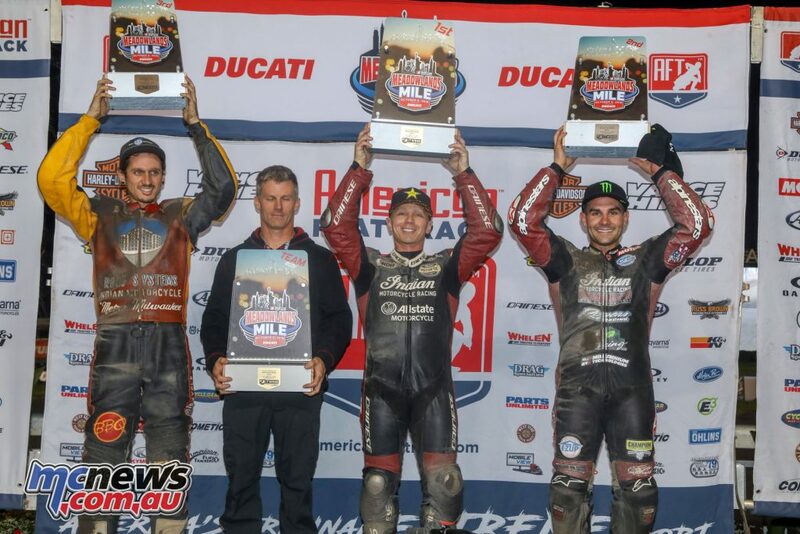 1 plate and be honoured as part of the AMA Legends & Champions Weekend in Columbus, Ohio, Dec. 7-9. 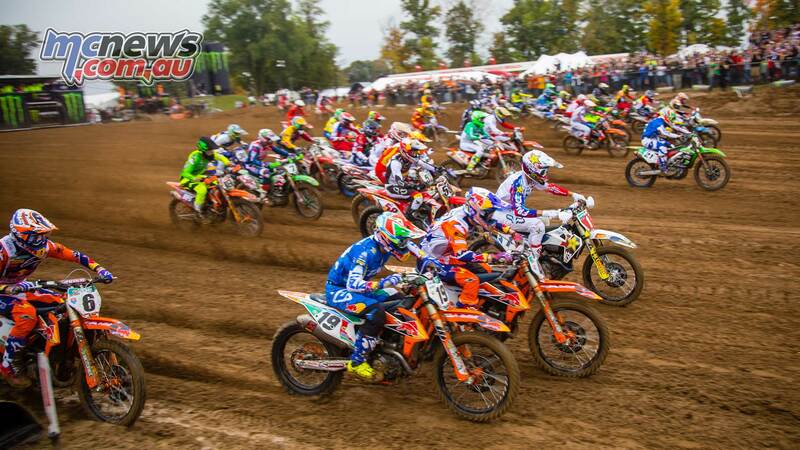 Youthstream and the French Motorcycling Federation have announced that Ernée, France, the venue for the 20015 and 2015 editions, will host the Motocross of Nations in 2020. 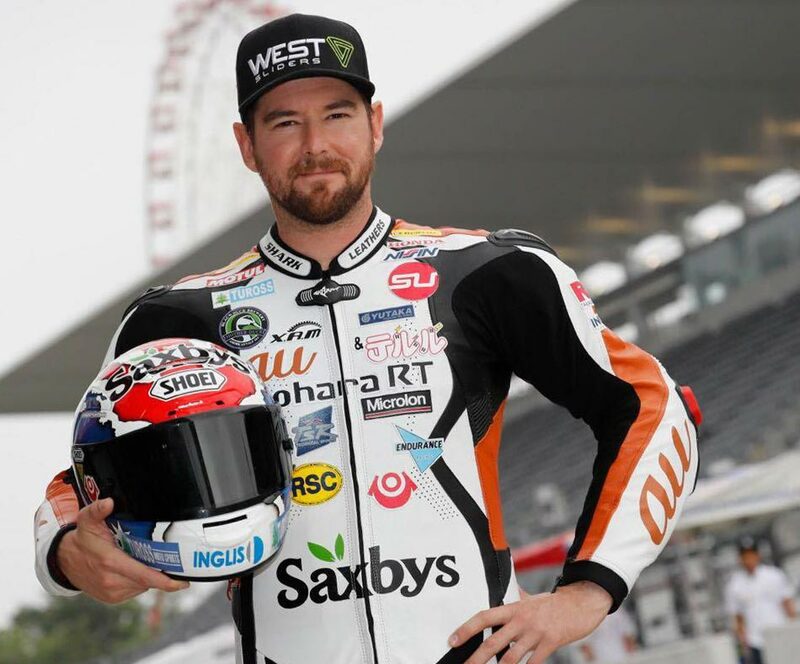 MotoStars is a new motorcycle training, coaching and racing series promoter that is managed by former road racer, Damian Cudlin and this new enterprise is the new promoter for the Australian Supermoto Championship (ASMC). The partnership will commence in 2019 and is set for a complete overhaul, with the championship changing from a one-off event to a three-round series in three different states next year making Supermoto more accessible to riders and fans alike and hopefully taking the sport to the next level here in Australia. MotoStars founder Damian Cudlin, can’t wait to put the MotoStars stamp on the Australian Supermoto Championship and raise the bar. 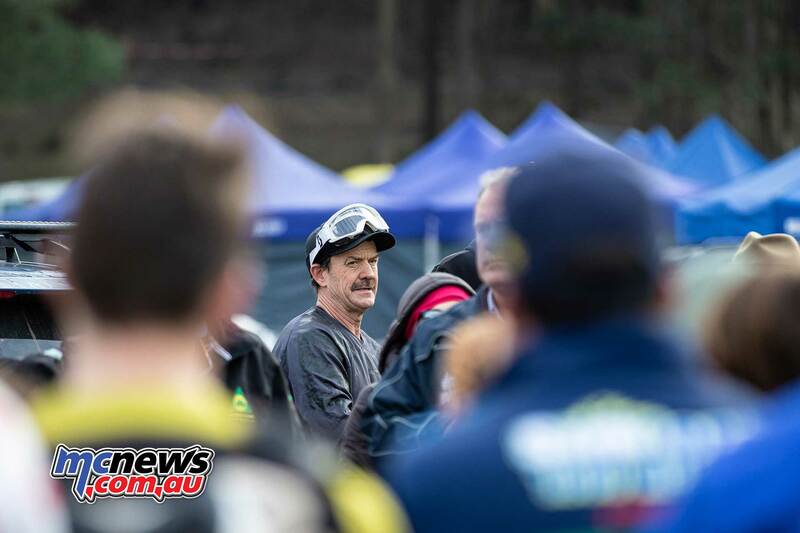 Stockton Park in WA hosted the 2018 Australian ATV Motocross Nationals last weekend and it was Luke Gaisford who took out the Pro Class after championship and race leader Chris Bosnakis suffered a mechanical failure while Sienna Comito (Jnr Support 200cc), Keenan Murphy (8-U12 Years Comp), Michael Harcourt (Vets), Jae Dowsett (8-U16 Years Comp), Darryl Maringoni (Clubman) and Josh McKay (Intermediate) all won their respective classes. 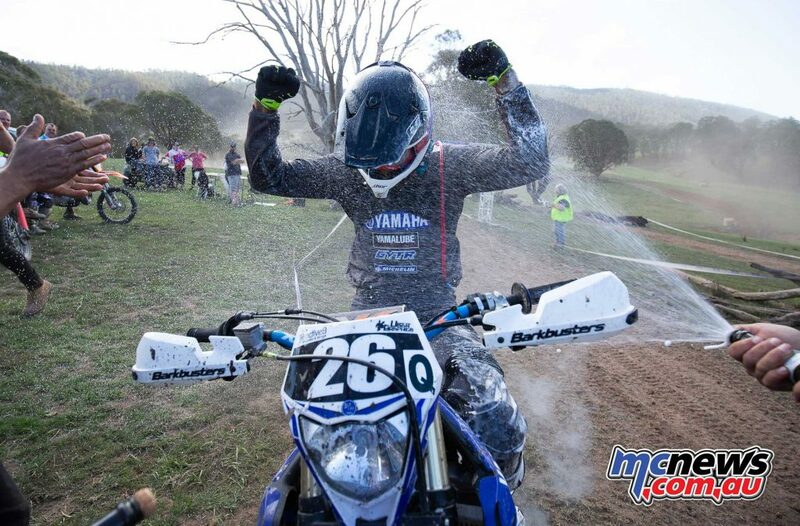 Kyle Middleton has once again re-written the history books by becoming the first rider to win six straight Australian Solo Championships, after he crushed his rivals at the 2018 Delecca’s Australian Trial Championship at Sedgwick in Victoria. Kristie McKinnon convincingly took out the Women’s class over Michelle Colemam while Tom Woodhouse narrowly outscored Alex Cowan in the Junior class.